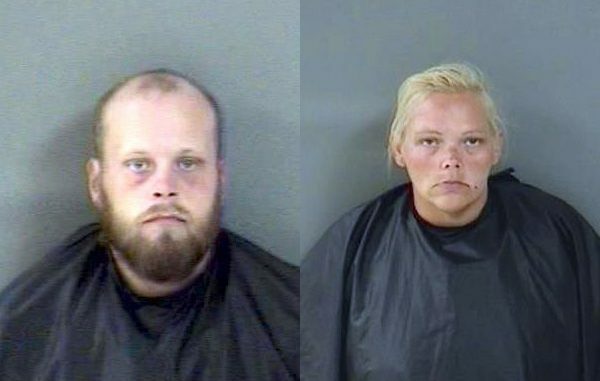 Two people arrested after stealing whiskey at a Winn-Dixie in Sebastian, Florida. SEBASTIAN – Police were dispatched to Winn-Dixie on CR-512 after two people walked out of the liquor store with a bottle of Jack Daniels Barrel, valued at $72.99, reports show. David Keeton, 30, and Jessica Louise Phillips, 33, were arrested and charged with Theft. Winn-Dixie employees in Sebastian showed a store video to police of Keeton and Phillips walking into the store and selecting a bottle of whiskey from the shelf. Soon after, Phillips places the Jack Daniels bottle into Keeton’s backpack and the two walk out of the door. On the way to the call, an officer spotted the couple standing at the Go-Line bus stop. Contact was made with Keeton and Phillips, both denying they stole a whiskey bottle. The bottle was located inside Keeton’s backpack. Phillips told police she purchased the whiskey bottle, but when presented with the video, she admitted to stealing it. Keeton and Phillips were transported to the Indian River County Jail.